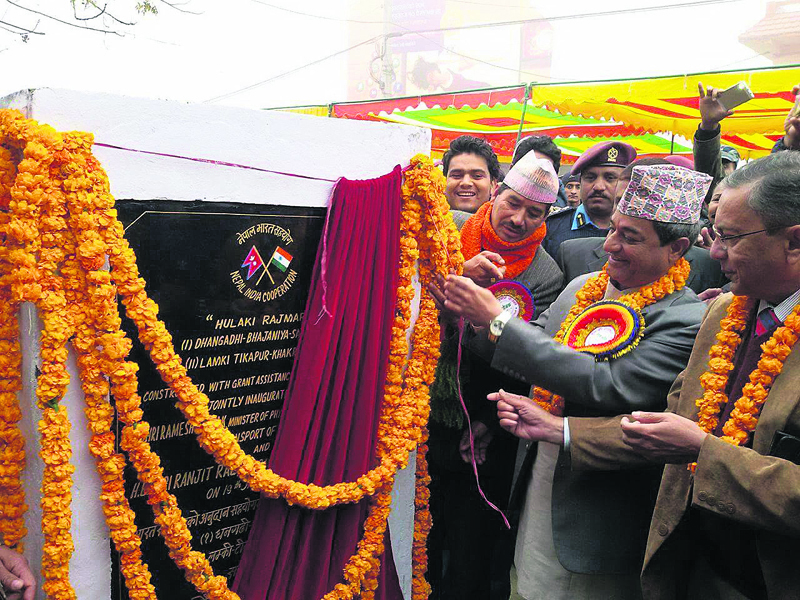 Republica Minister for Physical Infrastructure and Transport Ramesh Lekhak (2nd R) and Indian Ambassador Ranjit Rae (R) jointly inaugurate an incomplete road section under the Hulaki Rajmarga in Kailali on Thursday. DHANGADHI, Jan 19: Minister for Physical Infrastructure and Transport Ramesh Lekhak and Indian Ambassador Ranjit Rae have jointly inaugurated an incomplete road section under the Hulaki Rajmarga here in Kailali on Thursday. Work on a combined 18 km stretch of the 61-kilometer Dhangadhi-Bhajaniya-Satti section and Tikapur-Khakraula-Lamki section (27 km) of the Hulaki Rajmarga is yet to be completed. Similarly, six bridged along the roads is yet to be built. Locals have criticized inauguration of the incomplete project, saying that it would throw the road project into uncertainty. They criticized Minister Lekhak, stating that the inauguration was just an attempt to seek popularity. “Delay in the construction work is worrying locals. But the minister is in a haste to inaugurate the project,” he said. 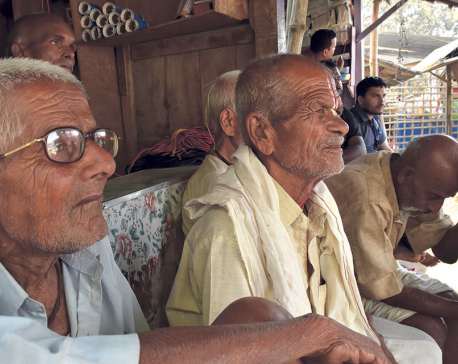 Construction work has been halted for over a year due to dispute in felling trees in the Basanta Forest. Locals have suggested that the minister for settle the forest clearance issue instead of inaugurating the project. The Indian contractor has left the project midway stating that it could not bring excavator toward Dhangadhi due to lack of bridge. Turunta Mandal, project manager of Hulaki Rajmarga's Dhangadhi Office, said that the file to clear trees in the Basanta Forest to facilitate the project works has been gathering dust at the Ministry of Forest and Soil Conservation for over a year. Forest spread over two kilometers from Pabera to Rampur needs to be cleared to expedite the project. The project has so far built eight of the 14 bridges in these two sections. Addressing the inauguration ceremony, Ambassador Rae said that Nepal and India should work together for development. Rae also said that Nepal and India share a close relationship since long and any issues arising should be settled through dialogue.